There are many betting systems in gambling, and a good number of these will make use of even money bets. As such, roulette is a particularly good platform to try these systems. 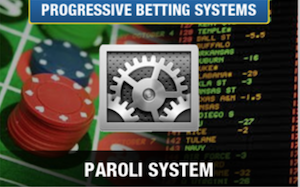 The Paroli system is a positive betting progression, where the stakes will increase after a win. I start this piece by explaining the relatively straightforward rules of the Paroli system, followed by some examples of it in action. Then I go on to look at the disadvantages and the advantages, before giving an overview of this system. There is one basic aim when using this system – you’ll play until you have three wins in a row! Before you start using the Paroli system you’ll decide upon a unit stake. This stake should be a small percentage of your bankrolll, as you could possibly lose it on many consecutive occasions. You’ll then place this stake on an even money bet at the roulette wheel, be the bet on red/black, odd/even or 1-18/19-36. What are the Rules of the Paroli Betting System? There are three simple steps to follow with the Paroli roulette betting strategy. If the bet wins, you’ll double the stake. If the bet loses you’ll start again betting with one unit. If you win three bets in a row you stop. In each of these examples, I start a new progression every time I hit a loss. One of the main advantages of this system is the ease of use. It requires no paperwork and no complicated staking plan, so you’ll be able to get started right away. Another big advantage is the fact that you won’t have to place big oversize bets when on a losing run. After a loss, every single bet is just one unit. Some other plans require you to risk a potentially huge amount to win a small amount – here you’ll only ever risk one unit every time you try the system. As you can see from example one, you can potentially win money even if the numbers of wins and losses are equal (you can also win money if you win fewer times than you lose). 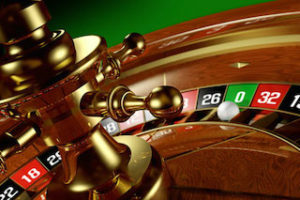 What are other roulette betting systems? Find out here. The Paroli system requires a streak of wins to actually make any money. Consider example two. Here you have seen 14 spins of the wheel – won seven times and lost seven times. Despite this, you have made a loss every time and you are $7 down. This is the big danger of this system, and it would not be particularly unusual to fail at this system 20 or 30 times in a row. A simple math equation will also show you that this is a system that is expected to lose. To do the math, you’ll consider the odds of winning three times in a row. I’ll use a European wheel in this example, so you’re gaining the best odds. Consider you are betting on red, so there are 18 red slots out of 37 on the wheel. So the odds of hitting red are 18/37. The odds of hitting red three times in a row is (18/37)^3, which equates to 11.5% of the time, meaning you’ll win once every 8.7 times you play. A simpler way of looking at it is to say you’ll win ten times every 87 times play. The ten times you win, you’ll win a total $70. (You’ll win $1 on the first spin, $2 on the second and $4 on the third). The seventy-seven times you fail, you’ll lose a total of $77. Important: As you can see, in the long term, this system is a losing one (if playing at an American roulette with two zeros, the odds are even more against you). In comparison to some other systems, the Paroli System is a little bit weak. Some systems offer the chance of a large win, whereas others might offer a small win, but on a regular basis. The Paroli system is neither here nor there, in the fact that you have no probability of a short-term win and no chance of a making a big win. When using any system at roulette, you should always be aware that the game has a house edge. This means you’ll never beat the game in the long run. As such, systems should be played with that in mind.